Made to its original 1877 recipe and sticking to its principles of only using the finest and freshest ingredients. This is a thick and rich chutney that has been a Kiwi favourite for generations. Apple (Apple Poamce, Apple Paste, Preservatives (E211, E224)), Sugar Syrup, Tomato Puree 12% (Water, Tomato Paste), Salt, Rehydrated Vegetable, Food Acids (Acetic, Citric, Ascorbic), Spices, Thickener (E1422), Rice Flour, Malt Vinegar, Flavour, Colours (E124, E122, E110). Love it! 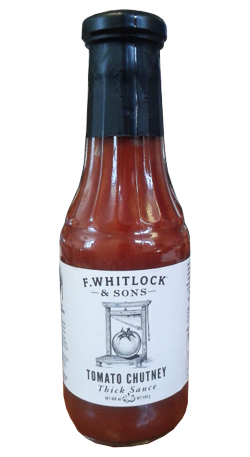 It's the best tomato sauce, thick, rich flavour and just delicious.